Take note of the contemporary detailing with this iconic Tommy Hilfiger strap watch. This watch features a silver dial encased in gold with a smooth rose-pink strap that can be adjusted to fit your wrist. 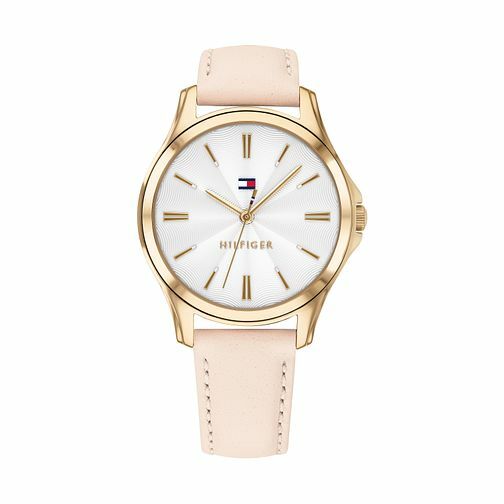 Tommy Hilfiger Pink Leather Strap Watch is rated 5.0 out of 5 by 1.